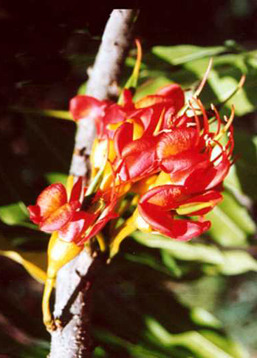 Medium to large tree with smooth grey bark and dark green pinnate leaves and red or yellow-red pea flowers. 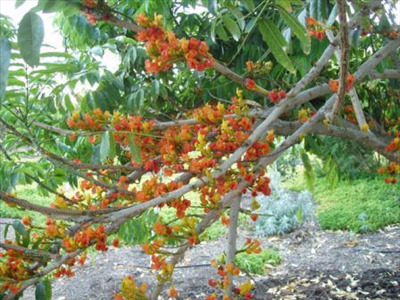 This handsome tree is grown as a street tree in Santa Barbara, CA and a large speciman is growing at the Huntington Library and Botanic Gardens in San Marino, CA. Slow growing and frosted when young (foliage returns in spring). Intolerant of poor drainage. Slow growing initially. Excellent container plant for indoor or patio. Propagation Information: Germinates easily from the large seeds. 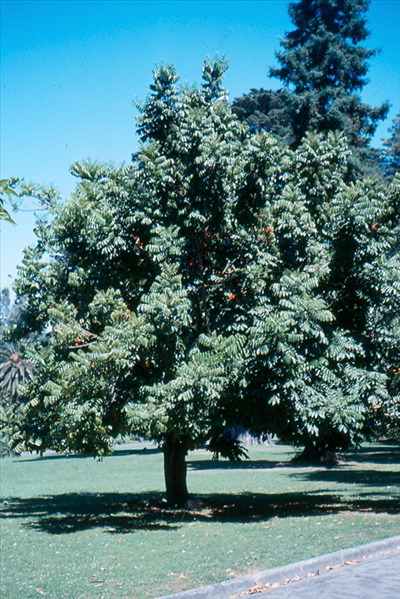 Large seeds are considered poisonous.